They’re all here! 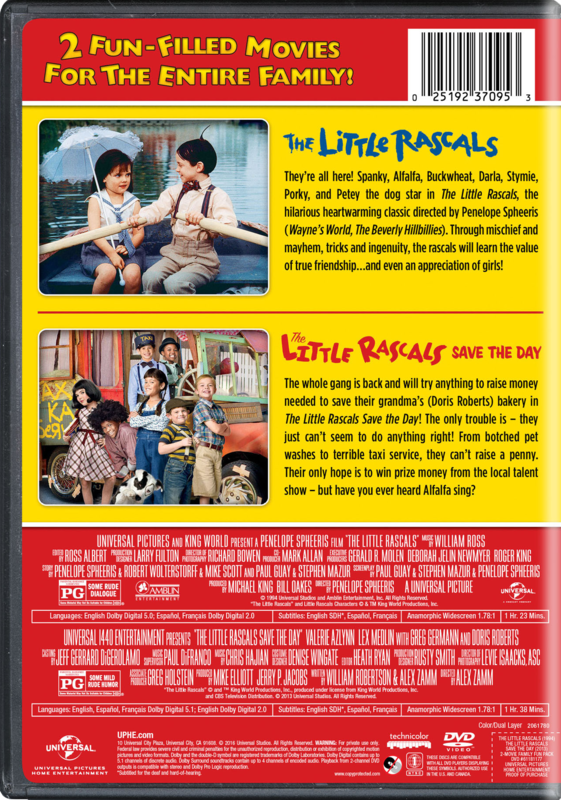 Spanky, Alfalfa, Buckwheat, Darla, Stymie, Porky, Petey the dog and all of the Little Rascals star in this hilarious heartwarming classic directed by Penelope Spheeris (Wayne’s World). 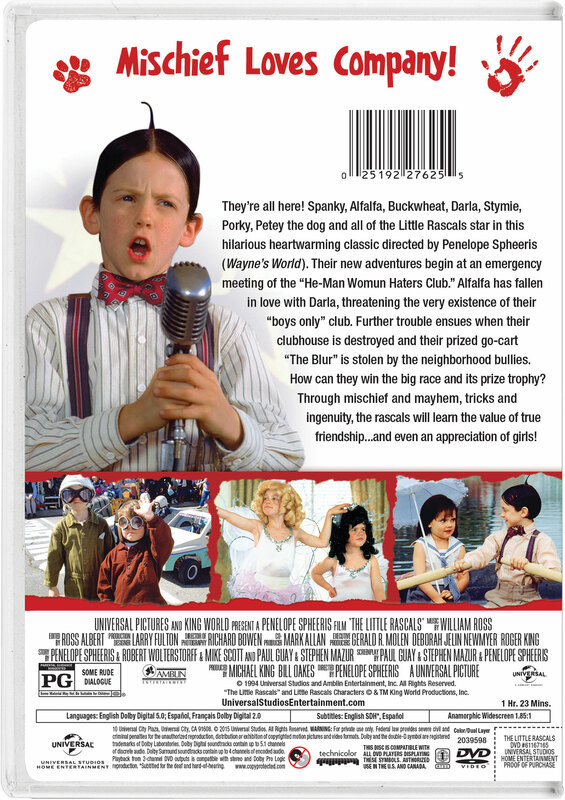 Their new adventures begin at an emergency meeting of the “He-Man Womun Haters Club.” Alfalfa has fallen in love with Darla, threatening the very existence of their “boys only” club. Further trouble ensues when their clubhouse is destroyed and their prized go-cart “The Blur” is stolen by the neighborhood bullies. How can they win the big race and its prize trophy? Through mischief and mayhem, tricks and ingenuity, the rascals will learn the value of true friendship...and even an appreciation of girls! PG - for some rude dialogue.